Do you usually worry about Google penalties? Are you familiar with the term Keyword stuffing? If your answer is yes to both of the above questions then keep reading this article. Today’s article is all about new SEO strategy and how can you keep your blog safe from Google penalties. If you’re blogging for a quite long time then you might know that many bloggers prefer using Yoast’s plugin to avoid Keyword Stuffing. In case you don’t know about this plugin, Yoast plugin helps you optimize your blog posts for better SEO. Although, there are various ways by which Yoast monitor your blog content. One of the most famous factors is focused keyword analysis. Yoast analyses your blog post and check for focused keywords in your blog post and keep them under an acceptable number of times. Well, in case you are thinking about how many keywords are accepted by Yoast then that depends on your words limit. Today, I’ll be introducing a new killer SEO tool by Neil Patel named Ubersuggest. Ubersuggest is an amazing way which allows Google bots to know what’s your post is all about without being penalized. This tool helps you suggesting keywords which will surely help to boost your blog’s ranking and to increase your online sales. 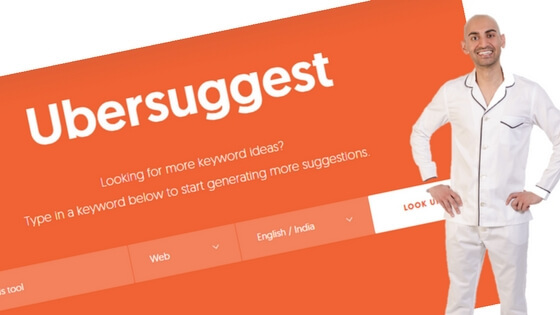 Ubersuggest gives your LSI keywords suggestion for better google search ranking. LSI is an abbreviation for Latent Semantic Indexing. It is very much similar to your focused keyword. Bloggers and SEO professionals use LSI keywords in order to tell Google search bots what’s your post is all about but do mind it that you don’t have to over-stuff keywords in your post. If we jump into the history of LSI then it is a very old method, introduced around 20 years ago. The main purpose of introducing these LSI keywords is to strengthen blog posts and increase search engine visibility. How you can easily find LSI Keywords? Well, there are plenty of tools available online which are there to help you with this topic. LSI keywords can be easily found using many online resources and keyword research tools. One such tool is Ubersuggest which offers you amazing top ranking LSI keywords for your blog post. Ubersuggest is a free LSI keyword research tool. This is one of the best alternatives for Google keyword planner. However, Ubersuggest shows you keywords which are not offered by keyword planners. If you use both of these tools for keyword research then you can significantly improve your blog visibility over many search engines. This free keyword researcher suggests you keywords based on real-users queries. Now the real question, why should you get over this tool? Why You Should Try Ubersuggest? 1. Ubersuggest provides you some additional keywords that aren’t suggested by the keyword planner. Using both keyword planner and Ubersuggest will boost your blog’s ranking drastically. 2. You can also find that Google trends are available in this tool as one of its parts. By having an idea about trends, you can easily select better keywords which have high search engine volume. 3. Ubersuggest have a word cloud which helps your visualizing your keywords easily. 4. You can easily copy and paste all the keywords into a spreadsheet for future use. 5. Ubersuggest provides you free of costs service. 6. There’s no language barrier. You can select what language you would like to get keyword searches. 7. It’s an awesome user-friendly tool. 8. It hardly takes a minute to show you results. 9. 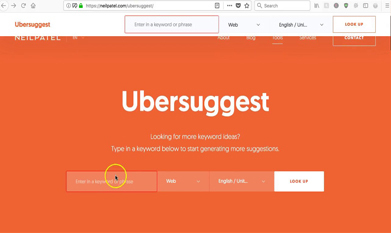 As discussed above, Ubersuggest is one of the best keyword research tool available for free offering you some amazing LSI keywords. 10. No limitations. This keyword researcher has no limitations which are seen in many other relevant tools. Now let's see how to use this amazing keyword researcher tool for finding out the most valuable LSI keywords and phrases. Step 2: Next, you have to decide what exactly you are looking for. You can choose different choices like Images, shopping, youtube or news. If you want to search keywords for your blog then simply keep your choice as Web. Step 3: If I’d to search keywords for this post titled “Popular ways to monetize your Instagram account” then I’ll check for “Instagram monetizing”. In order to copy and paste suggested keywords, simply click the view as text option and you’ll be able to export all the keywords to a CSV file. Step 4: If you wish to see your targeted keywords from a new perspective then simply click the word cloud option. You just have to combine these keywords and create your own targeted LSI keywords which you think can be beneficial for your search engine ranking. In all, I would like you to highly recommend this keywords research tool for better SEO. Ubersuggest can surely be a valuable tool for your blog. It’s really easy to find long tail keywords and LSI keywords using this amazing keyword suggestion tool. The best thing about this is its cost, absolutely nothing. That’s all with this article. If you’ve any type of doubt or want to suggest any opinion then you’re most welcome to leave your valuable comments below in the comment section. Abhishek Dharmik is the owner of Blogging Bro. He's a Blogger, Android Developer, SEO expert and a tech enthusiastic guy. Abhishek can help you become a full time blogger with amazing blogging tips and in-depth tutorials. 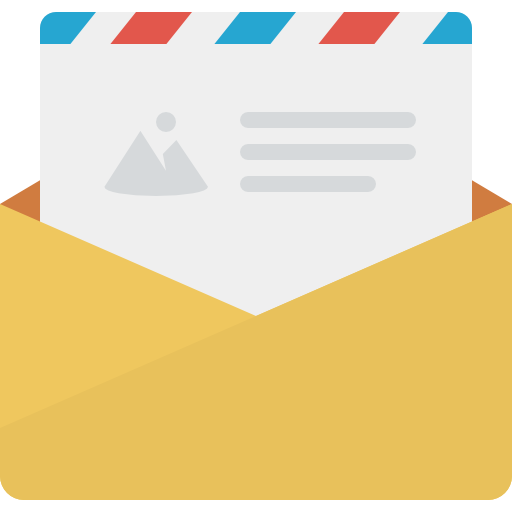 Get Blogging Guides, SEO secret tips directly in your inbox! Why Every College Student Should Have A Blog In 2019?